Freshman Kelsi Tatton (right) playing against UTEP earlier this season. Tatton scored her first goal of the year against North Dakota. In high schools all across America, young athletes are signing letters of intent, committing to play at different universities. Their hope is to shine on the field or the court, but more often than not they are restricted to a spot on the bench and keeping that piece of it warm for a different star. This season, however, the benches are getting pretty cold. 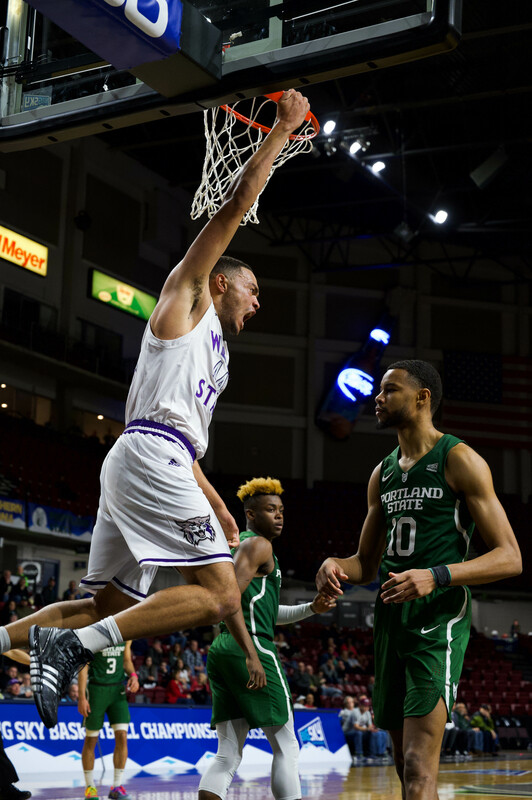 In almost all of the sports teams at Weber, the circumstances have been such that for several young freshmen, their time to shine is now, and boy are they shining. Kelsi Tatton is a freshman on the Wildcat soccer team. As the season began, her hopes were to see a few minutes here and there as a sub for the team. Due to several early injuries to starters for the team, that changed really fast. Over the last six games, Tatton’s playing time moved from roughly 15 minutes to both starting and averaging about 60 minutes, and her presence has been felt. Last Sunday in a game against North Dakota, she sealed the deal by scoring on a loose ball in front of the net that led to a 3-0 demolishing of UND. Coach Tim Crompton agreed, and spoke on the crucial role of freshmen like Tatton. Freshman wide receiver Drew Batchelor makes the catch against Southern Utah earlier this year. Batchelor is one of the top receiving options for the Wildcats, after injuries to other players moved him up the depth chart. On the football team, Drew Batchelor never really thought that he would see much time on the field when he signed with the Wildcats in February of this year. But, like the soccer team, a few players were injured, his name and number were called and his chance to step up and perform came quicker than he could have imagined. The result? 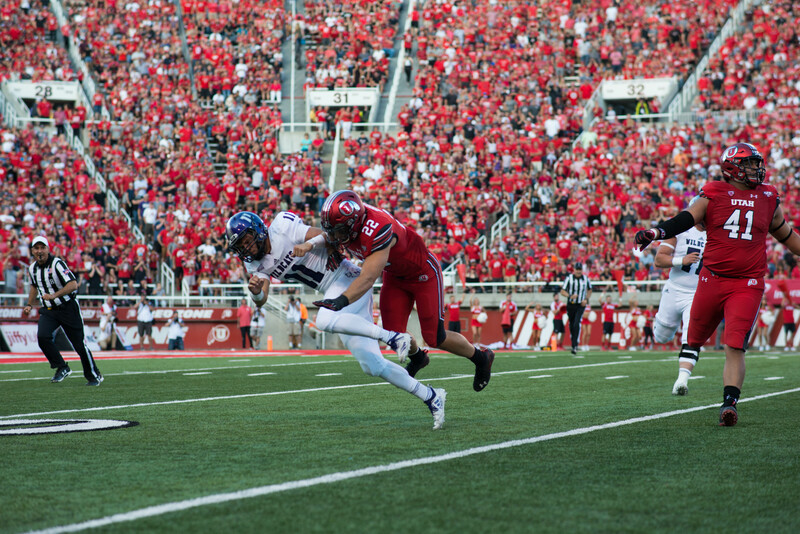 During the most recent game between the Wildcats and in-state rival Southern Utah University, he produced big, catching the ball four times for a total of 92 yards and two touchdowns, including a 64-yard score. Batchelor pointed to his hard-working mentality as his key to success. Freshman Amanda Varley goes for the attack in the Wildcats’ home-opening loss to Montana earlier this season. Varley ranks third on the team, averaging 2.04 kills per set. On the volleyball court, Amanda Varley loves how, from her first moments on the team, she has felt like a part of something bigger. This season she has put up quite a spectacle, logging 137 kills in 67 sets. She has been a solid part of the team, playing as an outside hitter. The bench may be getting colder, but these young stars couldn’t be any hotter. Rising to the call, they are both meeting and exceeding the everyone’s expectations. Their future holds a lot of potential—potential that is helping their teams be the best they can be. Charles can be found Tweeting @cbowkstar_91 or acting a fool at any Wildcat Sporting event.